Selling now - fully furnished models open. Sales Office open daily. Resident 2 floorplan is available to see in a home for sale. Residences 1 and 3 floorplans are available to see in a model home. New Homes ready for move-in! 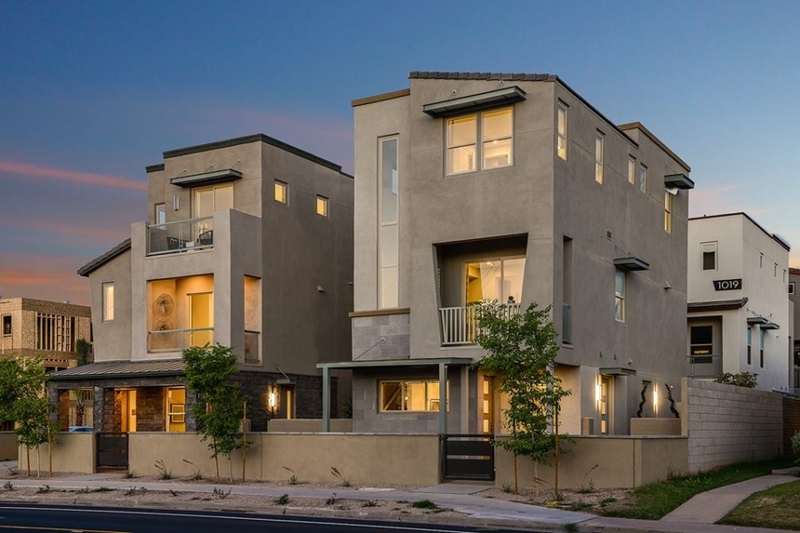 Scottsdale Stadium homes: Taylor Morrison is building 24 urban-style homes at 3510 N. Miller Road in Scottsdale, on the east side Scottsdale Stadium. Floor plans range from 1,800 to about 2,000 square feet, and the houses cluster around a shared pool area. Each home has its own private courtyard, 2-car garage and a first floor flex room or first floor bedroom & en-suite bathroom. Entertaining is easy with Treo’s second-story living space that includes a gourmet kitchen and open-concept living room, as well as two private decks that let the outside in. Each 2-, 3-, or 4-bedroom home offers a third level where residents can retire high above it all in the master bedroom suite and guest room(s).